There are primarily two kinds of performance enhancing steroids that are famous in the world of bodybuilders. Androgenic steroids and Anabolic steroids are the two distinct types. Anabolic steroids are basically synthetic testosterone supplements. A steroid having anabolic effects on the body refers to skeletal muscle growth whereas the androgenic attributes of a steroid helps in the development of male sexual features. There are several variants of anabolic steroids but have you considered how many of them are know to cause the least side effects. Each steroid has a distinct reaction of separate individuals. This is good fact since it broadly contributes to screen the steroids that have the least possible side effects. There are 5 such steroids that top the list of steroids having very minimal side effects and is a positive effect winner. The 1st place in the list being Testosterone is not at all astonishing. Testosterone is a must include no matter what the purpose is, whether it is bulking, strength enhancement or even fat cutting. Testosterone actually forms the basis of every steroid cycle and that vouches for its indispensability. Testosterones are available in the market in both injectable and oral tablet forms. 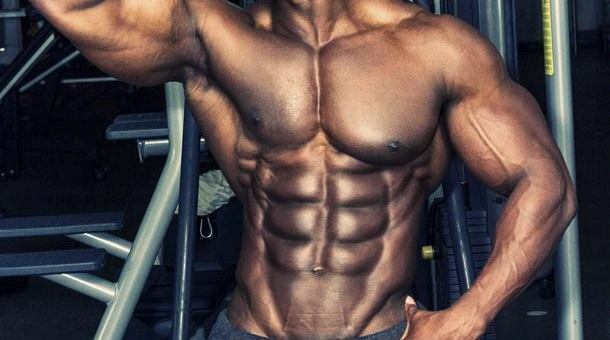 Testosterones are surely known to cause a few side effects but many facts and studies regarding the same have concluded that with proper management of the steroid intake, the side effects can be potentially minimized to a great extent. The bulking results after the use of testosterones are unbelievable. It is well known as one of the most tolerated steroids globally by healthy adults. The steroid methenolone is widely available in the market under the trade name of Primobolan. The street name of course is Primo. This one accounts to have the mildest side effects in comparison to the other steroids. The Primo hugely encpourages and promotes the growth of lean muscle mass and keeps the body from going into a catabolic shock. The sever side effect of gynecomastia is completely out of the question in this case as aromatizing to estrogen is very unlikely of Primobolan. Unlike other drugs, the oral form isn’t hepatotoxic. This is huge and thus one of the major reasons for it being out of the sever side effect steroid list. The steroid mesterolone sells under the market name of Proviron. Gives best results when stacked with other steroids as encourages free testosterone circulation, thus increasing the potential effects of the other steroids used with it. It is great for cutting cycles. This is one of the anti-estrogen steroids. The minor side effects of virilization in woman, acne development might not occur. Oxandrolone goes by the name of Anavar and is one of the most reputed steroids for its efficiency and least side effects. The fat burning qualities are tremendous. This one is also known as Equipoise and goes beyond anabolic effects. This particular steroid works great in increasing the physical strength and stamina of the athletes, enhances protein synthesis in the body and it is not hepatotoxic as well. Boldenone is known to be the second steroid having the least side effects.